Muskoka’s newest craft brewery is located in the village of Torrance, along Highway 169 in between Gravenhurst and Bala. 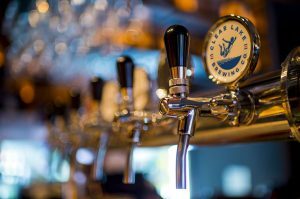 Clear Lake Brewing Company produces original and refreshing ales to enjoy when you visit the west side of Muskoka, and their brewery is a great place to stop for a break when you are touring the region in all four seasons. The brewery’s founders have strong ties to Muskoka. From summering for years at family cottages to now living full-time in the region, being surrounded by lakes and wilderness has had a profound impact on the company’s vision and atmosphere. From the start, their goal has been to create a selection of beer that embodies the region’s spirit, from hanging out on the dock to afternoon barbecues, evening sunsets and bonfires, and the general sense of serenity and relaxation that comes from experiencing this very special part of Ontario. Right from the start, Clear Lake Brewing Company made the deliberate decision to stay small. Not only does this make them more efficient, it also allows them to experiment more easily with new recipes and flavours, and allows for quicker seasonal and specialty product turnover. The recipes for their three current offerings were created and tested in Muskoka. Clear Lake currently produces a Session Ale, an American IPA and their unique Cran Radler. The Session Ale is a golden brew that is light and embodies the spirit of long summer days in Muskoka. Their American IPA gets its name from the American brewing tradition, where a balance of Munich-style malt is combined with El Dorado hops creating bold tropical fruit flavours of pineapple and mango. Radler means cyclist in German, and the blend of beer and fruit juice was created to be a low alcohol thirst quencher while riding. 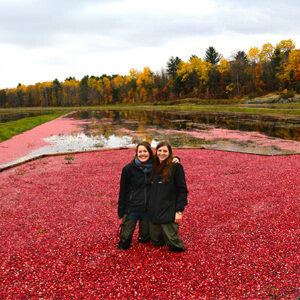 Clear Lake’s Cran Radler uses locally sources cranberries from Johnston’s Cranberry Marsh in nearby Bala to create a subtle tartness that compliments bold blood orange hues and gentle acidity. Clear Lake’s location embodies their fun and approachable style. The brewing tanks and equipment are a focal point of the experience, where brewer Rod Daigle can be seen working on small batches and new recipes. The long bar is topped by a single hewn log, with a classic Muskoka canoe hung above to highlight their cottage roots. The brewery’s three offerings are always on tap and available for tasting, in flights or by the pint. 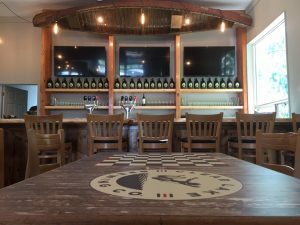 All of the tables have been painted with traditional cottage board games such as snakes and ladders and checkers so visitors can sit and enjoy their beer over some friendly competition. Designed as a true brew pub, the kitchen will open in the fall offering welcoming cottage fare, including fresh fish and their signature beer cheese. There is also a large retail space where visitors can purchase everything from hats and clothing to their signature branded retro-style coolers. When planning your visit to the brewery, consider adding some outdoor adventure to your trip. The nearby Torrance Barrens Dark-Sky Preserve is designated as one of the best light pollution free spaces in Canada to view the night sky. During the day, the Barrens are home to cycling, hiking and snowshoeing trails that cross exposed granite and circle the multiple ponds and wetlands. Nearby Hardy Lake Provincial Park also offers multiple trail loops for hiking and snowshoeing around several smaller bodies of water and even includes a lookout over Lake Muskoka. Johnston’s Cranberry Marsh also offers trails all year round, and is home to an amazing 1.2 km ice skating trail in the winter. 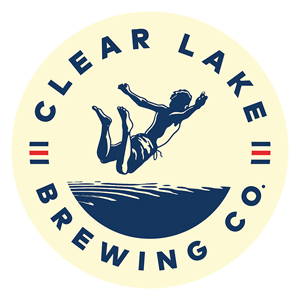 Clear Lake Brewing Company is brings cottage living and cottage fun to their unique small batch craft beer offerings. Plan a visit to their new facility and sample their brews before experiencing the adventures and wilderness that are synonymous with the good life in Muskoka.